"It is an option however it was not what you expected"
In our company we try to be at the forefront of technology and offer a better service to our buyers, for this reason I decided to use paypal credit having the idea that it would be useful and easy to use, however it has not been like that, its use is a bit problematic and in the area where we are located is a bit obsolete technology available to the merchants to offer such service and that is fully accepted. problems when using the service, sometimes I do not want to synchronize the platform and the use policies do not benefit us in almost nothing. I will not say it was the best experience I've had, but maybe others run with better luck, they do not go wrong and maybe in the future it will be a better possibility to consider, so do not be afraid to use it. Open our payment possibilities and innovate in the market creating competition with the rest of companies. "Not My Favorite But Still Good"
I I like the fact that with PayPal credit you get so many perks if you qualify. Like cash back on purchases and discounts on a lot of things. I hate the fact that I have had multiple issues with PayPal credit and customer service wasn't exceptional in helping me through them. They changed the billing cycle dates at some point in the last few years but I wasn't notified so I was stuck with a $27 late payment at some point. I have never missed a payment and it wasn't refunded sadly. Make sure you are always up to date on the pay cycles and last day to make payments and you will be fine! PayPal credit was beneficial to me in my purchases as I never made a purchase that I couldn't afford so being bale to make payments and having that continue to build my credit was a blessing. What Installment Payment solution do you use? It's so easy to set up and use. Can't imagine not having it. PayPal makes sure your transaction is secure and the convenience of being able to get paid or to pay someone is spot on. If you have a discrepancy they take care of it and notify you with updates until it is settled. Haven't found anything I don't like about PayPal. It's been flawless for me. I really haven't come across anything I don't like about PayPal. I highly recommend PayPal Credit for safe and secure transactions. Getting paid for items I sell online. Paying family and friends for dinner or gifts they purchased for me. Not having to release personal bank information to a stranger is a major plus. Every month there is a statement and you can reconcile your payments and credits. "Great alternative to outright payments/purchases, good addition to other businesses and platforms"
From a business standpoint, this is a great platform for paying for goods and services to other businesses and individuals, and on a personal level, this is great for those larger purchases or emergencies where you need easy access and quick confirmation of credit. If you are a usual/frequent PayPal user, this is an awesome additional tool to link into your account. I dislike that you don't often get reasons for credit denial on the spot and I think that more companies should sync and team up with PayPal credit to provide the additional option for paying, especially useful for businesses and places with music more expensive merchandise or services. A really great alternative to full payment for both business and personal use. Highly recommend looking into other companies and platforms that utilize this, especially around the holidays and special occasions, this is a good option. PayPal credit helps with just providing an additional option for businesses or individuals, and the ability to keep track of payments and communications, as well as your finances and available funds. "Great secure tool for payment services"
It is a great secure tool for payment services. One of the great things about paypa credit is most stores are now giving this option for payment in stores and not just online! I have had a few instances where I needed to contact customer service... that is a department that seemed to be lacking. These were situations where I felt like it was an easy fix and they def didn't go "above and beyond" to help. This would be one item I couldnt live without. Paypal is very user friendly and easy to access (phone etc). Great for "on the go" folks too! I can say I am a customer in this instance and I do tend to spend more since having paypal "credit". I'm not sure I would have made many of my online purchases had I not had the paypal credit option. I like that this software is easy to use and basically automatic. It is basically self explanatory and I feel that most individuals can easily understand it. I think that it is also aesthetically pleasing and the UX/US is done very well. I dislike that some times I have to re enter my shipping or billing address when clearly I have done it in the past. This is especially frustrating when it is the same card and therefore the same shipping and billing addresses. This would be a great and easy fix. I am not really having any issues. "This Product is a Scam"
There is nothing to like about this product. Everything was wrong and difficult from the start. Every time that I tried to use the account, there was a problem. The purchases did not go through even though the accounts are linked, customer service is useless and refused to help solve the problem, and closing the account was a nightmare. Do not waste your time with this product. Save yourself a headache and use a more reputable company. I have solved zero problems with this service. The benefit is not using this product anymore. I like that I can send and receive funds instantly, keep track of all my payments and use Paypal to invest with Acorns. There isn't anything I dislike, Paypal suits all my needs. Employees can get their paycheck a lot faster. "Paypal Credit is easy to use, fast and secure "
I love how you can space out your payments with no interest for six months! Makes it easy to purchase moderate-expense items without a large financial burden up front, and without any burden of interest. The interest rate can be pretty high if you do not meet the minimum payments. Definitely check it out when making big purchases and not paying upfront! Paypal credit allows small businesses to make moderate-purchases without upfront financial burden, without interest. "Amazing product to bill clients." I like how accessible the platform is. Both our clients and employees are able to view billing statements and create easy transactions through Paypal Credit. Our clients also love the 6 month no interest. There's definitely a processing period that you need to consider. It's not available immediately-- you have to apply. There's also a 3rd party security issue, but that's common in many transaction methods. We bill our clients that have leases for our virtual machines through PayPal credit. It is quick and easy to use, and a uniform platform across the board helps our billing department. "An easy alternative to cash"
I like how I can carry around a physical card for my paypal account and use it just like a debit card, I also like how quickly it connects to my other accounts. Easily reloadable on mobile. Can be used with both business and personal. The paypal credit card cannot be used with most atms, almost impossible to load or withdraw real cash. It works great when having to get paid and use the money we just made. Funds are immediately available. Requires internet connection and sometimes there isn't a signal where we are working. We are solving the problem that before we could only accept cash. "Love PayPal and all of their services"
PayPal is intuitive to use and offers a great solution for mobile payments and credit. They are responsive to requests and provide timely support when needed. I have yet to find anything that I would claim to not like about PPs services. Immediate access to funds when needed which frees up cash flow and allows for more flexibility to respond to customer needs. Okay - so you have customers that don’t have easy credit and maybe not the cash to buy. This service provides that at a touch of a button really. It’s simple, fast, convenient and easy to use. There statements to customer are not sent in warnings. So your client needs to keep watch. Easy to purchase products or supply credit. "Simply awesome to integrate an use with any api"
Integration is super and very illustrative and easy to understand instructions. It sometimes doesn't put enough safeguards to ensure if the input it i receiving is correct format. Supremely easy to use and demands very low maintenance once integrated with your product. Allow a simple for customer transaction and avoiding the additional overhead of PCI compliance. "PayPay from a Mom's Perspective"
Great Tool when needing to send my family and friends money in a hurry. The day lag can be eliminated in my opinion. Love the concept and product. The business problem being solved with me using Pay Pay Credit is the transferring of funds with ease. I like paypal because it makes transactions between parties easier and safer. At the moment there isn't something I dislike, I actually like how safe it is to use paypal. 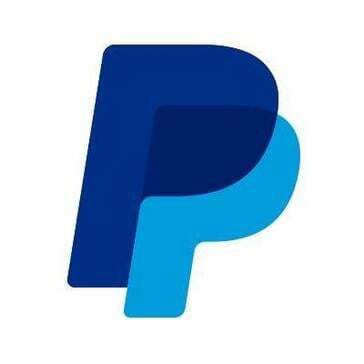 Paypal has made transactions between clients faster and easier. "Good, but better credit services out there"
I like how easy it is to use and the good feeling of having that extra credit. I personally worry about security and my privacy. The benefits of using paypal credit is flexibility. "Super easy to use and accepted nearly every where"
The ease of use and the locations that it is able to be used. There really isn't any dislikes associated with it. * We monitor all PayPal Credit reviews to prevent fraudulent reviews and keep review quality high. We do not post reviews by company employees or direct competitors. Validated reviews require the user to submit a screenshot of the product containing their user ID, in order to verify a user is an actual user of the product. Hi there! Are you looking to implement a solution like PayPal Credit?